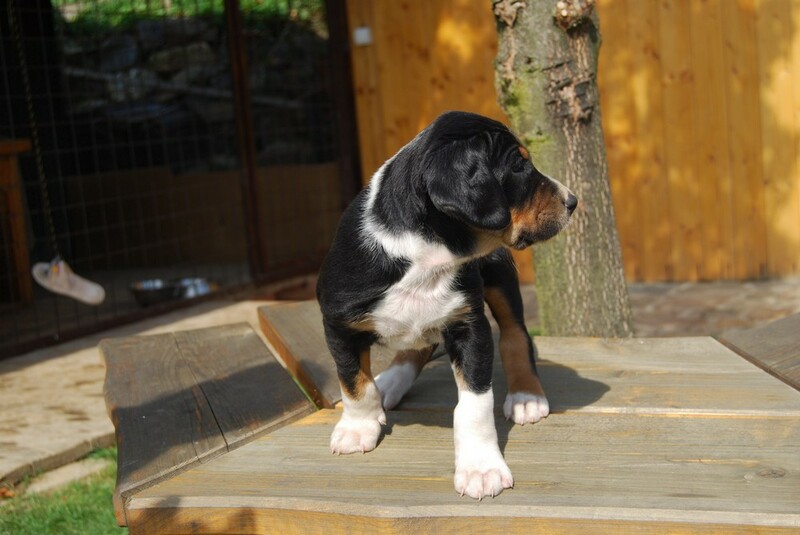 Transylvanian Hound puppies avaliable in the kennel of our friend in Czech Republic. Asta - the mother - was born in our kennel. She possess a strong work willingness on wild boar and she parctice in every autmn/winter, season long, because her owners do hunt a lot. Apart of this, Asta collected plenty of various titles, including title of World Champion, work examination, breeding certification, etc. Even Asta's parents were proven hunting hounds with numerous show and work results. The father of the litter is multiple champion and very good hunter, with dozens of show and work titles, with significant contribution in hunting season. Please, visit the home page of Transylvanian Hound kennel Z Telické Salaše.